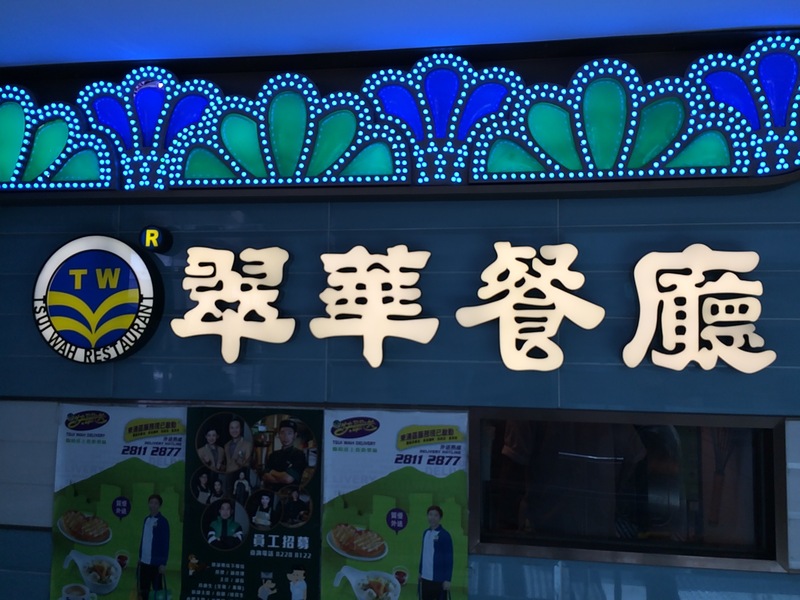 As a foreigner in Hong Kong, it can be intimidating to try the places that are always packed with people during meal times. You know they are probably good, but culturally it is just so different from what you are used to, you might not even know how to order. If you do go to one, what should you eat? There is another stay-at-home dad in our little group, and he is from Hong Kong. So, when he found out I liked lamb chops, he said, “we must go to Tsui Wah so you can have the grille lamb chop in curry.” So, we made a stop and ate while our little ones were napping. Fantastic food! Apparently the restaurant started as just one tiny little place and now there are many of them, and the company is listed on the stock market. They have an extensive menu (also in English), and the food all looked good. Prices are reasonable; definitely not expensive. 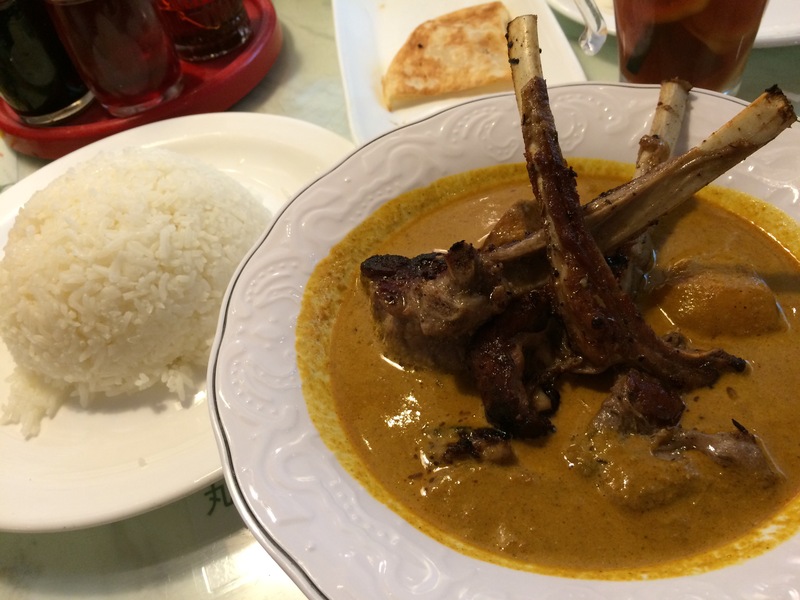 I had the fantastic Grilled Lamb Chop Malaysian Curry with Rice, which was a bit spicier than I would normally order, but it was great. 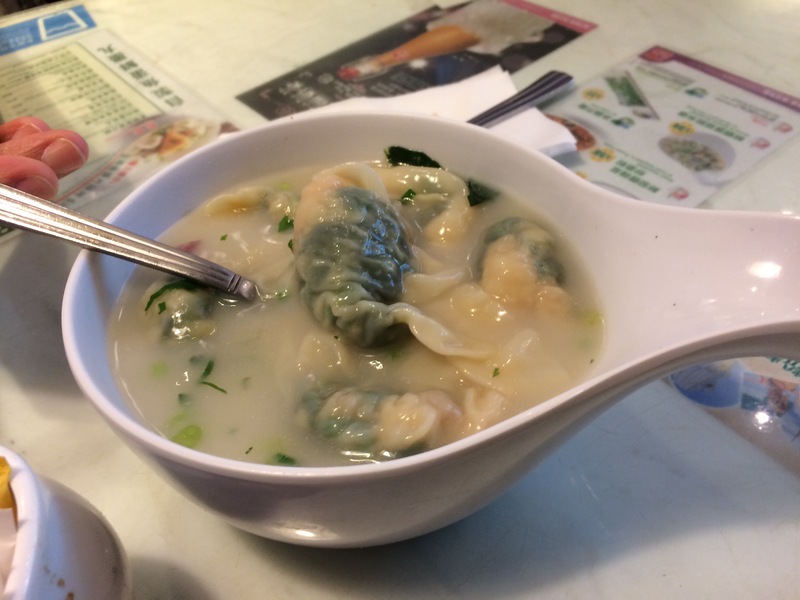 Additionally, we all split some nice Spinach Dumplings. 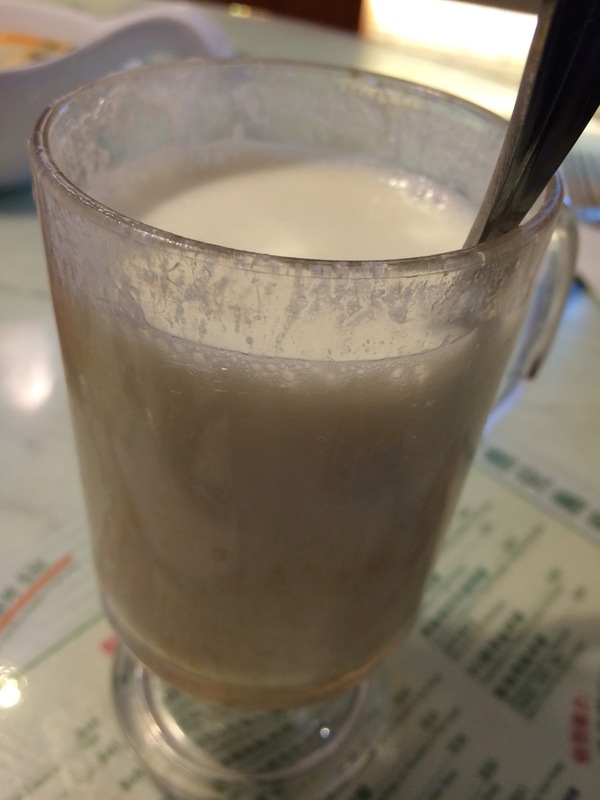 To drink I had Almond Milk with Egg White, which was unique. 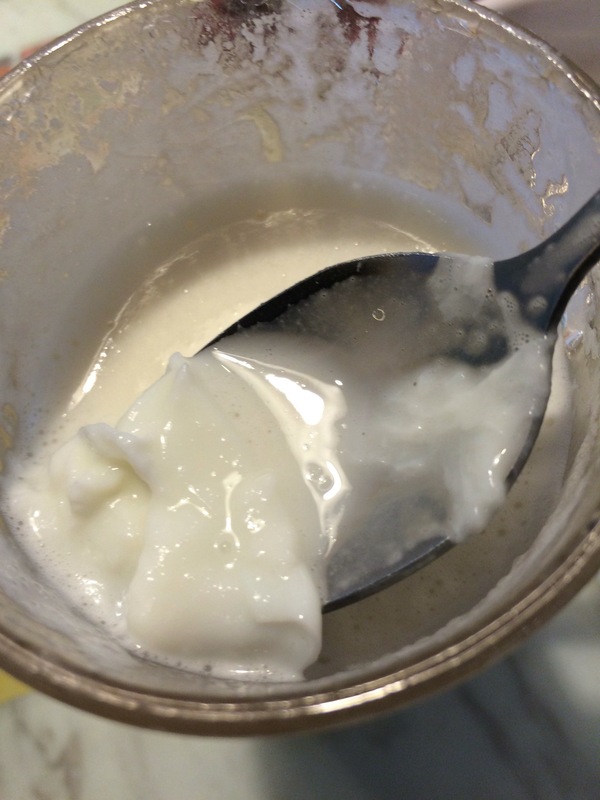 Basically they have boiling hot almond milk and they add the egg white raw, and it basically gets poached. My friend told me it is good for hair and skin 😉 Luckily it tasted like traces of marzipan, and although the temperature of the drink did not help with the spice of the curry, it was a nice addition to the meal.